WST Center events include a fall welcome reception, a spring lunch celebrating WST students and mentors, the spring WST Distinguished Lecture and Women's Awareness Month event, and StrengthsFinders Workshops. 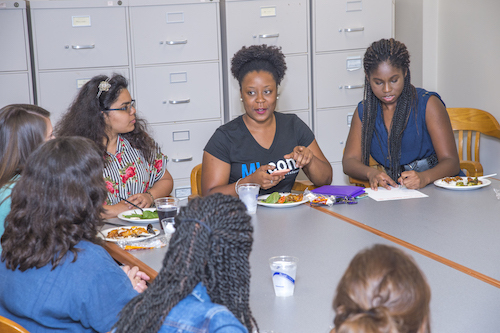 WST Learning Community events include monthly dinners and occasional lunches with faculty, employers, alumni, or staff guests; these are scheduled during the academic year. Spring open houses are held in January for prospective residents. All WST Learning Community students also participate in an orientation in early fall term.